The system of the protection of the rights and interests of the disabled shall be improved, the level of social security and basic public services for the disabled shall be raised, and efforts shall be made to bring them more opportunities to participate in social life on an equal footing and protect their human rights. -- A system shall be fully implemented to provide living allowances to financially-challenged disabled people and nursing allowances to the severely disabled population. Families with disabled members that meet certain requirements, and the jobless and severely disabled adults who rely on their families for support are eligible for subsistence allowances. More medical rehabilitation services shall be brought into the scope of basic medical insurance. A system shall be established to provide rehabilitation and assistance to disabled children. Places where the conditions permit shall subsidize the financially-challenged and severely disabled people in their purchase of basic assistance devices. The basic housing needs of the disabled shall be first guaranteed. Break-even security shall be offered for the basic livelihood of the disabled. -- The state shall carry out rehabilitation services for the disabled. It shall promulgate and put into force the Regulations on Disability Prevention and Rehabilitation. Basic and targeted rehabilitation services shall be provided to the disabled, with the focus on disabled children and the identified disabled population. The development of professional rehabilitation institutions at provincial, city and county levels shall be improved. The state shall support second-grade general hospitals in their efforts to transform themselves into general hospitals mainly focusing on rehabilitation treatment or specialized rehabilitation hospitals. A two-way referral system shall be set up between medical institutions and specialized rehabilitation institutions for the disabled. Community-based rehabilitation services for the disabled shall be extensively carried out. The state shall build rehabilitation colleges to train professional rehabilitation personnel. -- Community-based rehabilitation services shall be promoted for mental patients. By 2020 there will be one mental health social welfare center at each prefecture-level city, over 70 percent of counties (cities and districts) will have a community-based rehabilitation institution for mental disorders or entrust social organizations to carry out rehabilitation services through services purchased by the government. -- The education level of the disabled shall be raised. Improvement shall be made of the planning and distribution of special education schools, as well as the support system that enables children with disabilities to study in regular classes, so as to provide inclusive education for them, i.e., 12-year free education covering nine-year compulsory education and three-year high-school education. A system shall be established in which home teaching is offered to severely disabled children. -- Policies to support the disabled to find jobs and start up businesses shall be improved, so shall the system of providing jobs for the disabled by public institutions. Policy support shall be strengthened to the disabled in starting up their own businesses, or getting jobs in flexible ways, getting supported employment or getting Internet-based employment. Efforts shall be intensified to strengthen employment training and services for the disabled, providing practical technical training to 500,000 impoverished disabled people in the rural areas of central and western China, and ensuring that an additional 500,000 disabled people get employed in the urban areas. -- Protection of cultural rights and interests of the disabled shall be strengthened. Efforts shall be made to beef up investment in cultural and entertainment equipment appropriate for the disabled in the public cultural centers. Public libraries where conditions permit shall all have reading areas or reading rooms for the disabled. The publication of reading materials for the visually handicapped and books about the disabled people shall be encouraged. The National Sign Language and Braille Standardization Action Plan (2015-2020) shall be implemented. -- All-round endeavor shall be made in the building of barrier-free environments for the disabled. Barrier-free facilities shall be constructed on newly-built (renovated or expanded) roads, and in buildings and residential districts, or be added to exiting facilities. Renovation shall be carried out to make barrier-free facilities available in the websites of government and public service agencies, make food and drug information identifiable without obstruction, add subtitles or sign language to movies and TV programs, and urge telecommunication service operators and e-commerce enterprises to provide barrier-free information to the disabled. Measures shall be taken to improve the driving experience of the disabled. In addition, efforts shall be stepped up to carry out renovation of barrier-free facilities for impoverished families with members suffering from severe disabilities. -- The system by which the disabled get legal aid and services and judicial relief shall be improved. Illegal or criminal activities encroaching upon their legitimate rights and interests shall be seriously dealt with. Channels through which the disabled make their voices heard about their rights and interests shall be smoothed out. China shall intensify its efforts to promote human rights education and training, and to enhance the public's awareness of the importance of human rights. It shall set up a human rights research platform to provide intellectual support for the cause of human rights. -- China shall implement the Opinions on Improving the System of Study and Use of the Law of State Functionaries, and make human rights education a key part of the work of enhancing the performance of state functionaries in this regard. The state shall include human rights knowledge in the education of Party committees (leading Party groups). It shall make human rights part of the curricula of Party schools, cadre colleges and administration institutes at all levels, and a required course for government employees, including judges, prosecutors and police officers, at the beginning of their careers or during training. -- China shall include human rights knowledge in the content of national education. The state shall make sure that human rights knowledge is integrated into the teaching activities of elementary and middle schools in flexible and diverse ways. It shall also provide human rights training for preschool, and elementary and secondary school teachers. -- China shall continue to support education in human rights in institutions of higher learning. The state shall further strengthen the development of human rights-related disciplines, and postgraduate enrollment and training. It shall improve the abilities of institutions of higher learning and research institutes to carry out studies on important theories and practical problems concerning human rights, and establish a national scientific research project on human rights theories. -- China shall support and encourage the enhancement of human rights education and training in enterprises and public institutions. The state shall develop a human rights culture, and take respecting and guaranteeing human rights as an important factor in decisions concerning both domestic and foreign investment. -- China shall standardize the work of national human rights education and training bases. It plans to add five bases to the current ones by 2020. The state shall standardize management and make innovations in the operation mode of these bases. It shall train more personnel and invest more money in building a new-type and high-end human rights think tank with Chinese characteristics. -- China shall study the necessity and feasibility of establishing a national human rights institution. 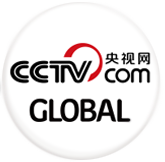 -- China shall support the opening of special channels or columns on human rights by news media to publicize human rights knowledge and raise awareness.